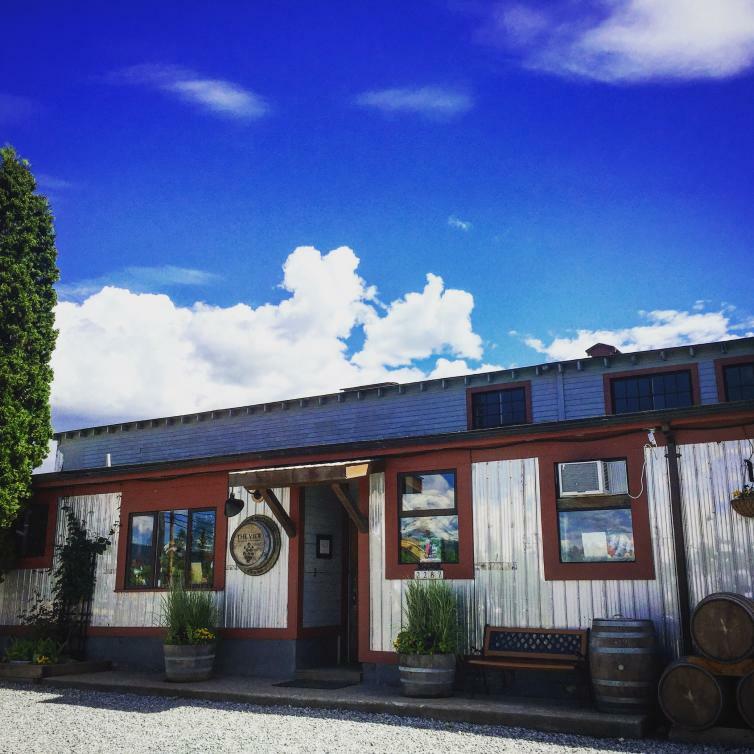 Kelowna's FAB 5 Wineries have you set for summer! 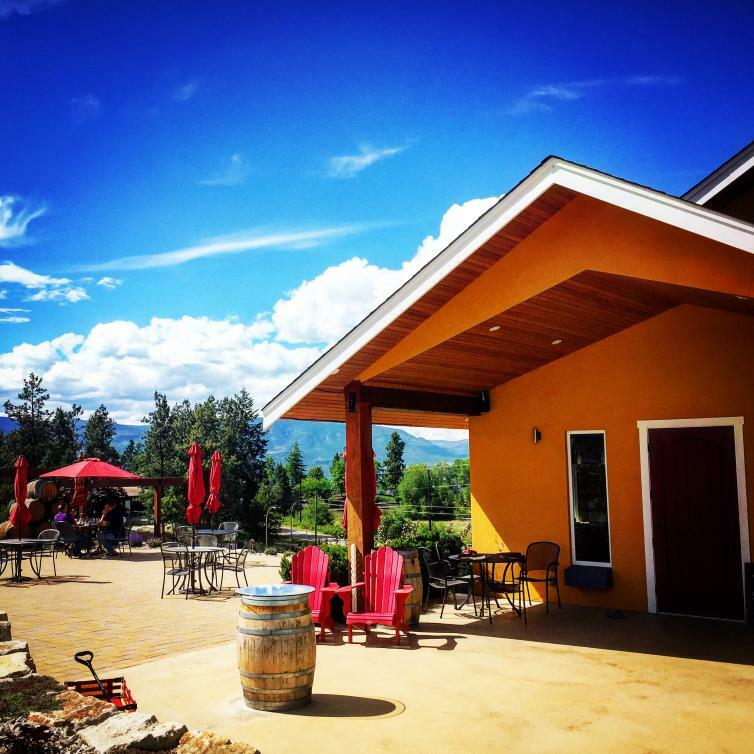 Kelowna&apos;s FAB 5 Wineries have you set for summer! Wineries with big personalities, great events, live music, and wine pops; Kelowna’s Fab 5 Wine Trail is a perfect way to spend a summer afternoon. This past weekend, my partner and I took in one of Kelowna’s five Wine Trails. The Fab 5 takes you around East Kelowna to taste great local wines. And these 5 wineries are working overtime this summer to enhance your experience and take it to the next level. We started our tour at The View Winery, a winery that is super approachable and easy-going. The team in the tasting room is more than willing to take some extra time with you as you enjoy their wines. The wine shop and tasting room is in a beautiful vintage apple packing house, and they also have Wards Hard Cider (which comes in a few varieties) to sample. The View is also one of only three wineries in the Okanagan (and the only one in Kelowna) that works with Pinotage – an early ripening, South African grape. Check out their Pinotage Rosé with flavours of berries, melon and cotton candy; yes, please! They also love to show you their bling – sparkling wine in a can – and tell you it’s great to take wine anywhere you want to but aren’t allowed to bring a bottle. Perfect poolside sipper! 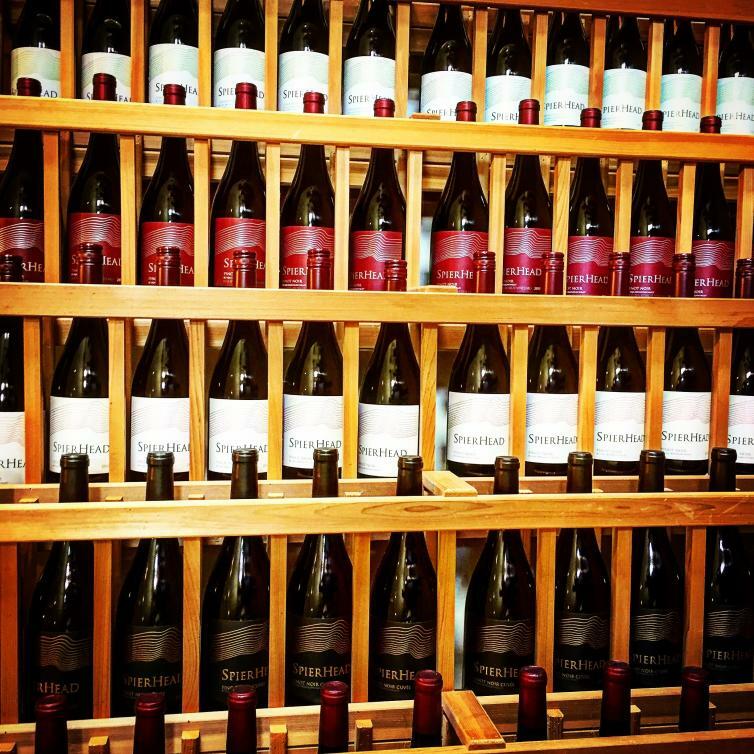 Winery tip - Look for their signature red stiletto and you’ll know you found the right place. Say “hi” to their winery dog, Sammy, when you’re there! SpierHead was our second stop for the afternoon tour. Their signature bright yellow tasting room stands out among the spring-green grape leaves that surround them. It’s a small, intimate tasting room, and the team knows so much about wine and is more than happy to share their experience with you. The great wall of wine immediately caught my eye and made me think that my wine storage solution at home was totally inadequate. Their sunny patio lets you sip away the day – and with the delicious wines at SpierHead, that’s not too tough to do. Their on-site bistro ensures you get a few nibbles to go with your swishing and swirling. They also host events throughout the summer, including some great yoga and wine pairings. 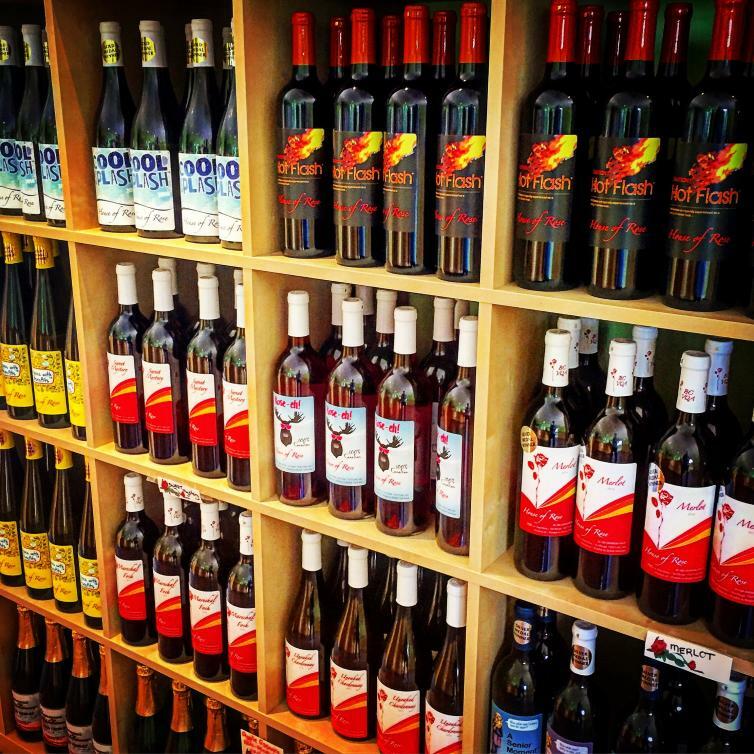 Wine tip - The wines at SpierHead have won lots of awards, including the Premier’s Award at the 2016 B.C. Wine Awards for their 2014 Pinot Noir Cuvee (sorry, it’s now long sold out!). 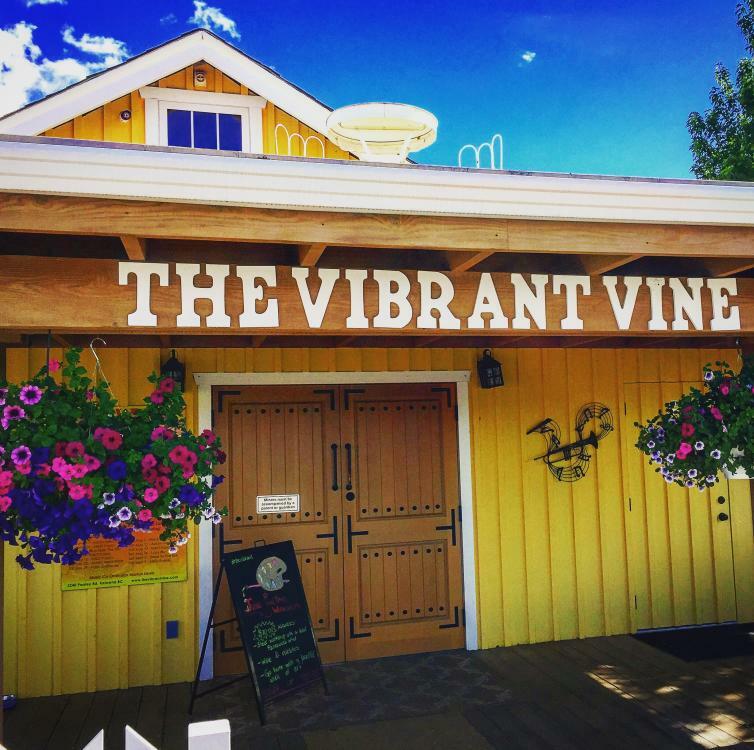 Vibrant Vines is aiming to be your summer wine headquarters and our third stop on the tour got us really excited for some more sun-soaked days. Vibes at the Vine every Saturday (see the full line-up here) and lawn games (croquet, giant Yahtzee and bocce ball) will keep you entertained if their 3-D tasting room wasn’t already enough. Hang out in their very chill ‘backyard’ area where you can hit the snack shack to build your own picnic (they have cheese, meats, olives, chips and dips available) or bring your own. You can enjoy their wines which are available by the glass or just try not to make repeated trips for their newly-released wine pops. Get this: rosé with strawberry, Woops (their signature white blend) with peach and vanilla, or enjoy their Phantom red wine with a sangria flavour. Now adults have awesome summer treats, too! If you’re worried you’ve consumed too many calories from wine pops, they’ve got an outdoor Zumba class and boot camps (with brunch) to help. Wine tip – check out their Rosé, available bubbly, too. It has a refreshing blend of Auxurrois and pinot noir grapes. 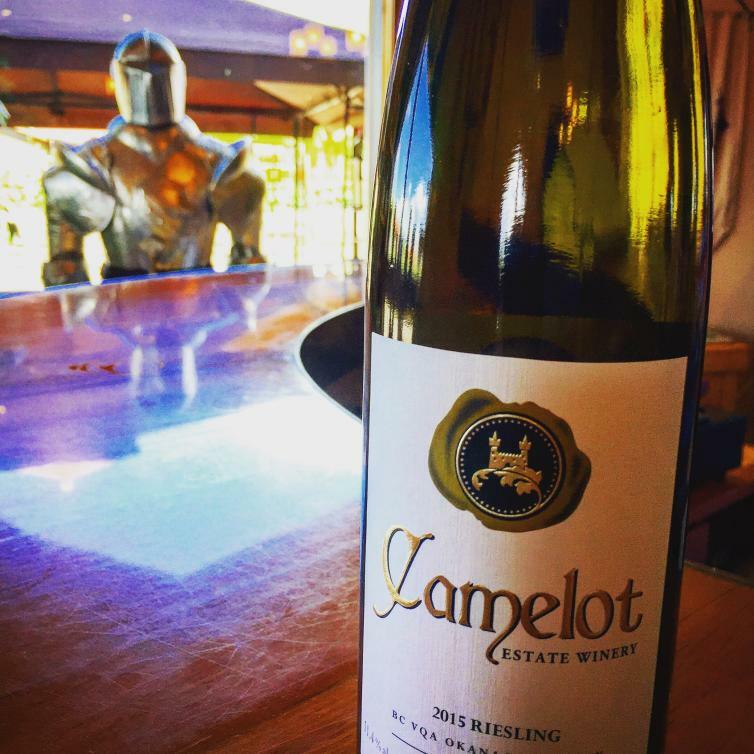 Our fourth stop was Camelot, and after we tried to retrieve the sword in the stone, we headed into the tasting room to cool off. Their small-lot, cool-climate wines include White Knight (blend), Riesling, Pinot Gris and Pinot Noir – great for sipping during a Medieval flick or binge-watching Game of Thrones. Camelot has events throughout the summer, but their Annual Medieval Fair is really their exclamation point for the season. 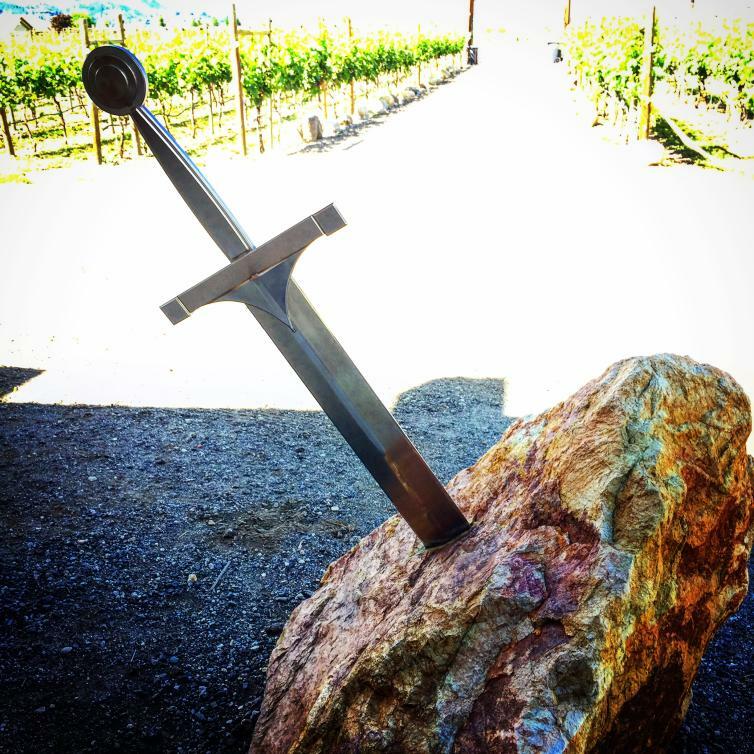 The second Saturday each August (this year it’s August 12), they host hundreds of wine-lovers at the winery for samples, sword fights and a weaponry display (including a trebuchet!). 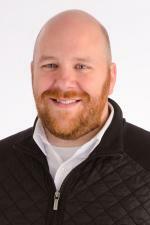 Wine tip – on June 12 they released their first-ever Meritage blend wine (merlot, cab sav and cab franc). It’s bloody good. Our fifth and final stop for the day was House of Rose. 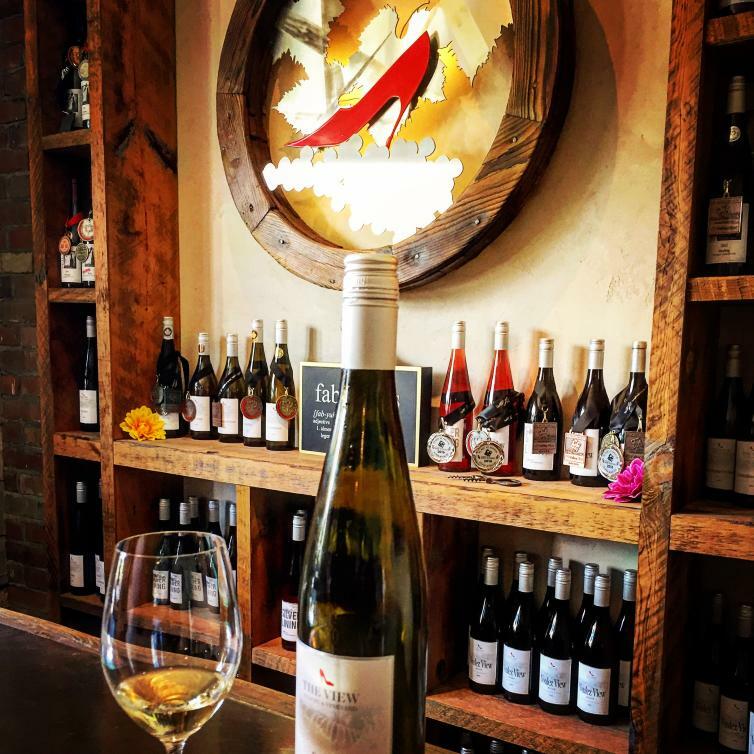 Home of the annual family-friendly grape stomp in the fall, House of Rose Winery has a summer full of music for you and your family to enjoy. Set in their picnic area (which is, of course, dotted with many different coloured roses), their summer music series runs Thursday nights throughout the summer starting July 6. All members of your family are welcome, including your dogs (as long as they’re on a leash). House of Rose has pick-up picnic lunches, or allows you to bring your own to enjoy as you sip away the day. There’s a self-guided winery tour through the property to keep your Fitbit awake, too. Even better; the events and tastings are free. That’s just a bit of the hospitality at House of Rose. Wine label tip – The label on their Rose-eh was selected by customers in a contest last year. Touring the Fab 5 is a great way to spend an afternoon. It’s an easy drive that takes you through east Kelowna, among the rolling orchard-laced hills where apples, pears and other fruits grow alongside the grapes. If you don’t want to drive, many wine tour companies will take you to them all. There’s even options to hire a private driver. 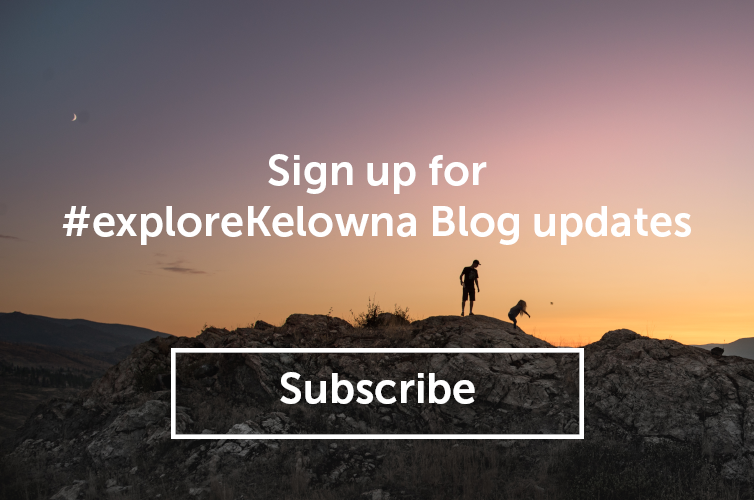 If you’re in Kelowna for a few days, there’s much more to see, do and taste and lots of great places to stay.